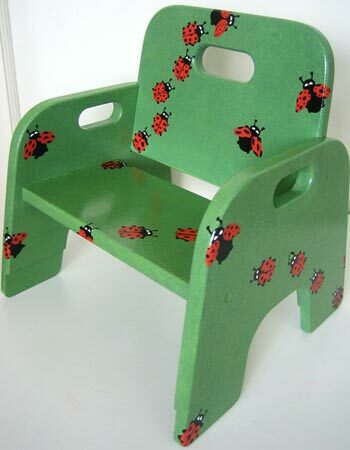 A favorite book about ladybugs was the inspiration for a suite of painted furniture including two chairs, and a table (legs). The mother of the young user already owned the furniture, and wanted it transformed into something unique, and fun for her daughter. San Francisco, Ca. To see more of this project, click link below.